No one is surprised by the fact that by riding your bike you can improve your health and the environment. However, if you’re not an avid rider or you’re new to the world of cycling, it might be hard to grasp why the most enthusiastic bike lovers are so passionate about the sport. Well, one of the reasons that so many cyclists are serious about supporting and promoting the importance of biking—especially during the month of May, which is National Bike Month, by the way—is because bike riding actually has the potential to change the world. And we’re not talking about super-serious cycling. 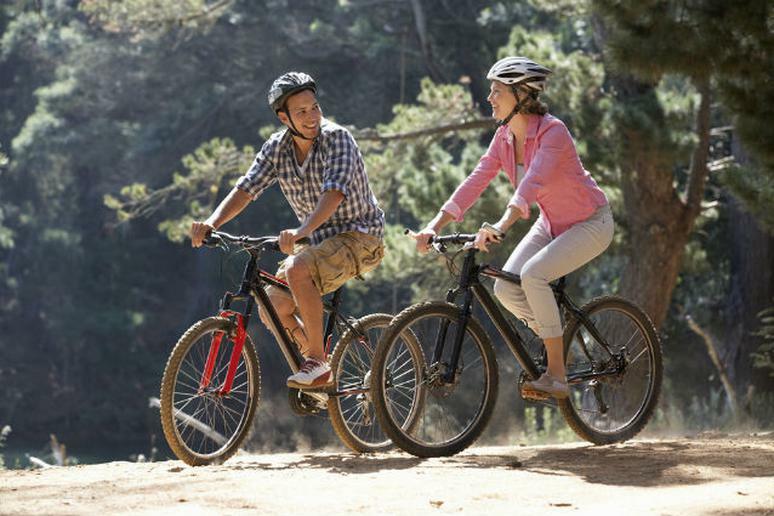 We’re talking about riding at a purely recreational level. According to My City Bikes, a public health campaign that offers tips and resources for beginner cyclists, if every person in the U.S. swapped a car for a bike for just three miles (or about 18 minutes) a day, the world could improve in three very drastic ways. About 300,000 fewer people would die of heart disease (the leading cause of death in the U.S. and around the world) each year in the U.S. Roughly 108 million less pounds of air pollution would go into our atmosphere nation-wide. About 78 million American adults could slow or stop the progression of their obesity and related conditions. As the folks at My City Bikes put it, when you bike, everyone benefits, so this National Bike Month we encourage everyone to set a “bike more goal.” Do it for your health, for the environment and for your family, neighbors and friends. Not sure where to start? Make My City Bikes your go-to resource. Their tools were designed specifically to help new riders find their way, including details about easy bike routes in your community. If three miles a day sounds like a lot, start by setting a smaller goal and work your way up. Every little bit counts and the more everyone bikes, the more everyone benefits.